Netmarble announced today that The King of Fighters: All-Star for both iOS and Android devices will be coming to North America and Europe sometime in 2019. 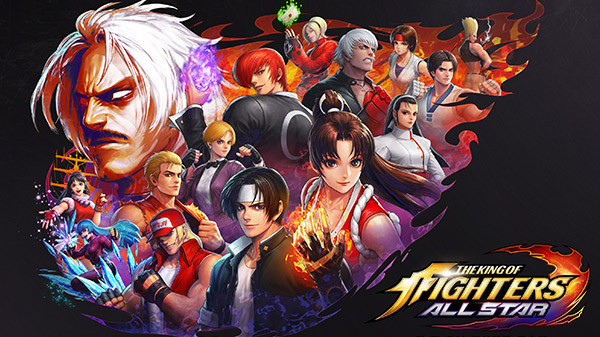 Th King of Fighters All-Star is an all new action RPG that is based on SNK’s The King of Fighters property. It was first launched in Japan in July 2018. Fans of King of Fighters series will be pleased to see every character from the entire King of Fighters franchise from The King of Fighters ’94 to The King of Fighters XV. The King of Fighters All-Star is an action RPG game created for iOS and Android devices which features every character from SNK’s entire The King of Fighters franchise—from The King of Fighters ’94 to The King of Fighters XIV—brought to life with industry-leading graphics. The King of Fighters All-Star boasts fast-paced fighting action, as players battle their way through waves of enemies, giant bosses and rival teams of fighters. The martial arts excitement is paired with cutting edge graphics, bold colors, and lightning-fast animations, plus over 50 fighters to collect and upgrade at launch. The King of Fighters All-Star will deliver a wealth of content and nostalgia for fans of the franchise and offer hours of fun for gamers who are new to the action. Other key features of the game include the ability to build a team deck that includes three fighters, three strikers and selected support fighters. Players can complete levels and participate in tournaments and challenges to unlock, upgrade, and evolve a large roster of over 50 fighters at launch.